New leaders take over credit unions in North Carolina, New York, Maine, Massachusetts, Virginia and Indiana. Bangor Federal Credit Union named Basil Closson as its new president/CEO. Credit unions in North Carolina, New York, Maine, Massachusetts, Virginia and Indiana recently named top executive leaders and announced retirements. The $2.2 billion Truliant Federal Credit Union in Winston Salem, N.C. said Thursday that its President/CEO Marc Schaefer was succeeded as president by Todd Hall, who previously served as COO. Schaefer will continue to serve as CEO. Since joining North Carolina’s third largest credit union in 2012, Hall was responsible for leading its day-to-day operations and helped guide the cooperative’s strategic direction during his tenure. Hall is credited with streamlining Truliant’s processes and systems to simplify and enhance the member experience at its branches, call center and digital channels. “Todd has demonstrated his impressive commitment to Truliant and its members for over five years as COO,” Schaefer said. “Our leadership teams have blossomed and grown with his guidance as we continue to develop the financial and leadership foundation for our future. The board of director for then $422 million Cornerstone Community Federal Credit Union appointed Eric M. Hepkins president/CEO. He succeeds President/CEO Ann M. Hood who will retire Feb. 28 after 34 years with the Lockport, N.Y.-based credit union. Hepkins previously served as a senior vice president and head of streamlining, retail banking and wealth management for HSBC Bank in Buffalo. He also served as head of retail banking for Evans Bank in Hamburg, N.Y. The $149 million Bangor Federal Credit Union named Basil Closson as its new president/CEO. He will succeed President/CEO Steve Clark who will retire April 1 after 32 years of service. Prior to joining the credit union as CFO in 1994, Closson worked at the NCUA as a principal examiner, and he also worked at the Region 1 office performing quality control reviews of examination reports. The $148 million Homefield Credit Union in North Grafton, Mass., appointed Karl J. Moisan as president/CEO. He succeeds President/CEO Lloyd L. Hamm, Jr., who left the credit union. Moisan previously served as executive vice president and chief business officer of Homefield CU. Prior to joining the credit union, he was a senior vice president and business development and commercial lending at Marlborough Savings Bank. The $41 million Loudon Credit Union in Leesburg, Va. named Travis Allen at its new president/CEO. He succeeds Darrin Myer who left in November for personal reasons. 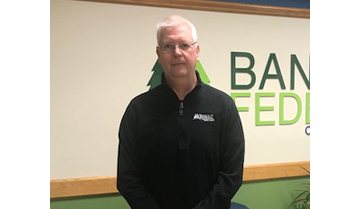 Allen holds more than 18 years of financial services experience and most recently served as a regional branch manager for the $273 million East Idaho Credit Union in Idaho Falls, Idaho. Daniel B. Bullock is the new president/CEO of the $71 million Sterling United Federal Credit Union in Evansville, Ind. He succeeded Aaron K. Wood, who left the credit union in the fall of last year. Bullock previously served as a senior audit team member for the Old National Bank and he also worked at CliftonLarsonAllen LLP. Cari Palmer was appointed president/CEO of the $32 million Energy Plus Credit Union in Indianapolis. She succeeds Scott Armstrong who was named president/CEO of the $50 million Electel Cooperative Federal Credit Union in Raleigh, N.C.
Palmer joined Energy Plus CU in 2008 and previously served as a vice president primarily responsible for operations. After serving more than 20 years as president/CEO of the UMassFive College Federal Credit Union in Hadley, Mass., Katherine E. Hutchinson said she plans to retire this summer. The board of directors expects to name her successor by the third quarter. Hutchinson joined UMassFive College FCU in 1975 as a part time teller. She became operations manager in 1981 and subsequently assumed the role of interim president/CEO in 1995 until she was named president/CEO in January1997. Under her leadership, the credit union grew from $72 million in assets to its current $462 million while its membership increased from about 15,000 to more than 38,000.